I got this note from Jackie (Sandler) Widermuth this Monday (10/12/2015) morning. "My cousin Bob Wise passed away yesterday with a long bout of cancer. He lived in East Moline so his obituary will probably be in paper this week." 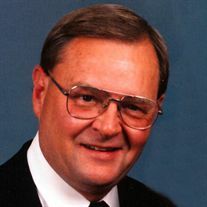 Robert D. Wise, 71, of East Moline, Illinois, a proud Army veteran, died Sunday, October 11, 2015, in Clarissa C. Cook Hospice House, Bettendorf, Iowa. Funeral Mass is pending at Our Lady of Guadalupe Catholic Church, Silvis, Illinois, with Fr. Peter Zorjan officiating. Cremation will take place at Trimble Crematory and burial will be in Rock Island National Cemetery where Vietnam Veterans of America Chapter 299 will present military honors, Visitation is pending in the Horizon Room at Trimble Funeral Home at Trimble Pointe, 701 12th Street, Moline. Memorials may be made to American Cancer Society or Vietnam Veterans of America. Robert Dale Wise was born September 17, 1944, in Moline, to Frederick and Monna (Yeager) Wise. He served in the U. S. Army in Vietnam, and graduated from St. Ambrose University. He married Judith Entas Manthe on February 6, 1982, in Kewanee, Illinois. He was employed by John Deere Insurance and Sentry Insurance as a manager in the underwriting department, retiring in 2009. He was a member of Our Lady of Guadalupe Catholic Church, and Moline American Legion. He loved his family, enjoyed sports, fishing and the river, and having pizza and beer with his family and friends. Bob is survived by his wife, Judy; six children and their spouses, Lori Knowles of Brimfield, Illinois, Brian and Teri Wise of Moline, Melissa and Steven Knopf of Blue Springs, Missouri, Christopher and Alex Hankins of Lees Summit, Missouri, Matthew Manthe of Kewanee, and Kimberley and Greg Baze of Yorkville, Illinois; 13 grandchildren; one great-grandchild; his brother and sister-in-law, Douglas and Marla Wise of Woodland Park, Colorado; his uncle, Bill Yeager of Rock Island, and several nieces and nephews and their families. Bob’s family invites friends to share stories and condolences and light a free candle in his memory at www.TrimbleFuneralHomes.com. So very sorry Jackie! I remember him as always being nice and friendly. I had no idea you two were cousins. My sympthany goes out to you. Cousins often play an important role in our lives.